@thorindustries asked me to share my #windowtotheworld as a #thorpartner. As any trailer dweller will tell you, the views out of our windows are a defining element of our lives. 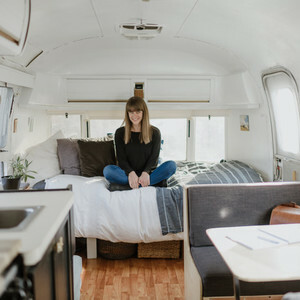 The windows of my Airstream are my favorite part. Natural light streams through from every angle. At night, I can look up and see the stars from my bed. In the morning, I drink coffee and watch the sunlight trickle across the landscape. Like rotating artwork, the colors and scenes of the world become an essential part of my interior space. I feel more connected to my surroundings. Closer to the stars, closer to the deer that run past every morning, and closer to the people that have opened up their lives to let me live near. 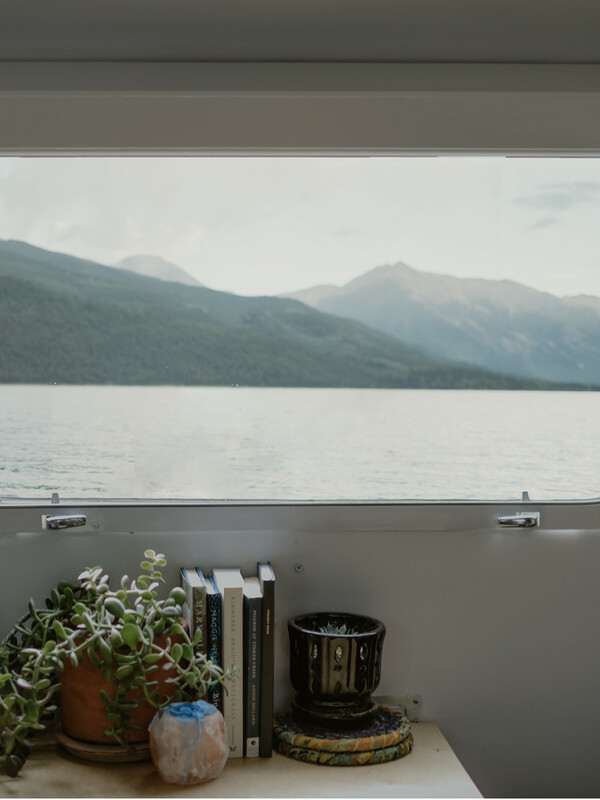 To me, these windows and the views they hold don’t just represent epic landscapes or adventure, they represent community, a sense of place, and connectedness. ⠀⠀⠀⠀⠀⠀⠀⠀⠀ Fellow travelers and camper denizens, how does your view shape your world? Tell me about it with your post using #windowtotheworld. The outdoor activities are hard to beat. I love to stand-up paddleboard, mountain bike, hike and ski. You can do all of these things here, sometimes in the same day. My dog, Thyme. He’s a border collie/flat-coated retriever mix and a super funny travel companion. What's your favorite part about this view? There is nothing like waking up to see mountain peaks out your window. It’s an instant reminder to get outside and explore. The Tetons. These are the mountains I grew up with and I’d love to get back to them soon. Be flexible. You never know when there’s going to be a surprise road closure or herd of bighorn sheep crossing the road. Instead of getting frustrated, embrace the experience.